Panasonic announced today world’s first thermoelectric device cooling roller without using any water. The Panasonic thermoelectric system also reduces time and cost on maintenances, for the periodical water exchange and cleaning are not necessary. For two-sided printing with commercial use printers, after printing on one side of the sheet, the water cooling type roller is generally used for cooling the heated dry paper in order to continue back printing. For water cooling system, spaces are necessary for waste water disposal as periodical water exchange and for arranged pipes, and moreover the water leakage may happen. By using the new roller built in with thermoelectric elements of increased density per unit area, the excellent cooling capability and quick thermal response are achieved, and hence the thermoelectric cooling roller without using any water is commercialized. 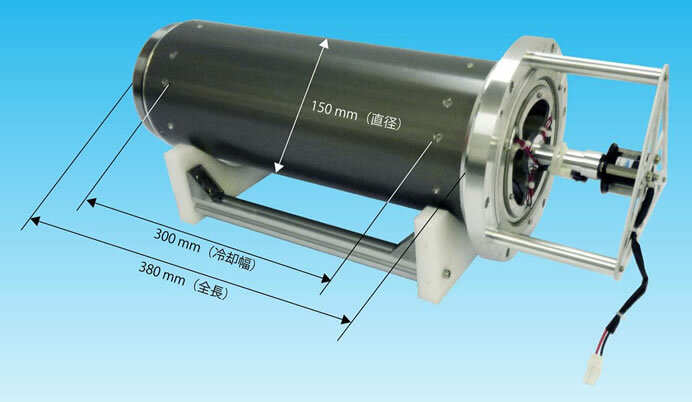 Besides commercial use printers, the thermoelectric device cooling roller can be used for temperature-controlled conveyance devices which need temperature control process by rollers, machines tools, as well as food processing machines, rubber processing machines, and medical related machines such as high precision temperature-controlled units etc. The mass production of thermoelectric device cooling roller commences in July 2016.